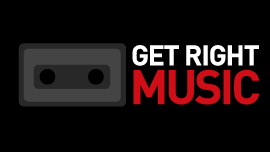 Product Name: Get Right Music - http://www.getrightmusic.com (As is, before the planned update and redesign listed below) Here's a screenshot of the new homepage too. Description: Get Right Music provides a premium ad-free platform for artists to release their free albums and for fans to discover new music. a. Independent hip hop artists will want to promote thier ad-free page and music to their fans and potential fans. b. Hip hop fans will want first access to the latest new music from artists they like and to be considered tastemakers within their social circles. c. Record labels will want to promote and market their artists' music releases on the platform due to the volume of traffic and targeted user audience. d. Users will want to earn affiliate revenue and send traffic to the website in hopes of converting new registrations. a. We will charge $59.99 for a yearly "Pro Membership" allowing artists and record labels to upload an unlimited amount of music releases. These users/players will be motivated to pay this yearly fee based on the quality of service and the concept of an ad-free experience. b. Hip hop fans will not be paying for the service, but they will be motivated to continue using the service and promoting the service due to discovering and enjoying music in an ad-free, user friendly, environment. c. The potential to earn a 20-30% affiliate commission will cause users to promote/sell the website in hopes of earning back their annual fee plus extra revenue. I think the players for this product will be highly motivated to use the service based on the ad-free environment and the possibility of earning extra income. I just released my free mixtape (album) on Get Right Music. I wanted to send you an email and ask you to give it a listen and share the good tunes.